Step out on a limb and submit applications for jobs that strike you with even the slightest bit of interest. Utilize website such as LinkedIn, Indeed, and CareerBuilder to keep updated with available opportunities, and keep your search broad so you have access to a wide spectrum of positions. Once you’ve initiated your job search, accept as many interviews as you can handle to keep your options open and sharpen your skills. Throughout the interview process, you may discover that the position is a good fit for your first full-time job, if so – send your interviewer an email the day after your interview to let them know you are interested in the opportunity. If not, you’ll have valuable interview practice under your belt. When an opportunity to interview for your ideal position arises, you will be more than prepared to showcase your talent and blow the competition out of the water. Rid yourself of the notion that internships are limited to undergraduate students! Internships provide firsthand experience in a professional environment and create a platform for you to learn, grow, and narrow your focus on what career path you would like to pursue in the future. Many intern programs give you the exposure you need to expand your network and build lasting relationships with professionals who are further along on in their careers. A successful internship can even turn into a full-time job offer from the company if you’ve proven to be a good fit with the company’s culture. (Learn how to be an outstanding intern here). Use this season to soak up as much advice and information as possible. Reach out to professionals in your field of interest and ask to shadow them for a few hours, or better yet, days. You will get a glimpse of the day-to-day routine in that field, plus you’ll have opportunities to ask questions on the spot. If you can’t arrange a job-shadow, set up an informational interview instead. An informational interview is an opportunity for you to sit down with a professional in your aspired field and learn about his/her personal career path, the industry, and insights that you wouldn’t find through an internet search. The key to a postgraduate job hunt is not letting your network grow stagnant, and to just keep putting yourself out there. These tips serve as tools to increase your connections and provide clarity for your future career, but there are many more ways to continue towards your career path. 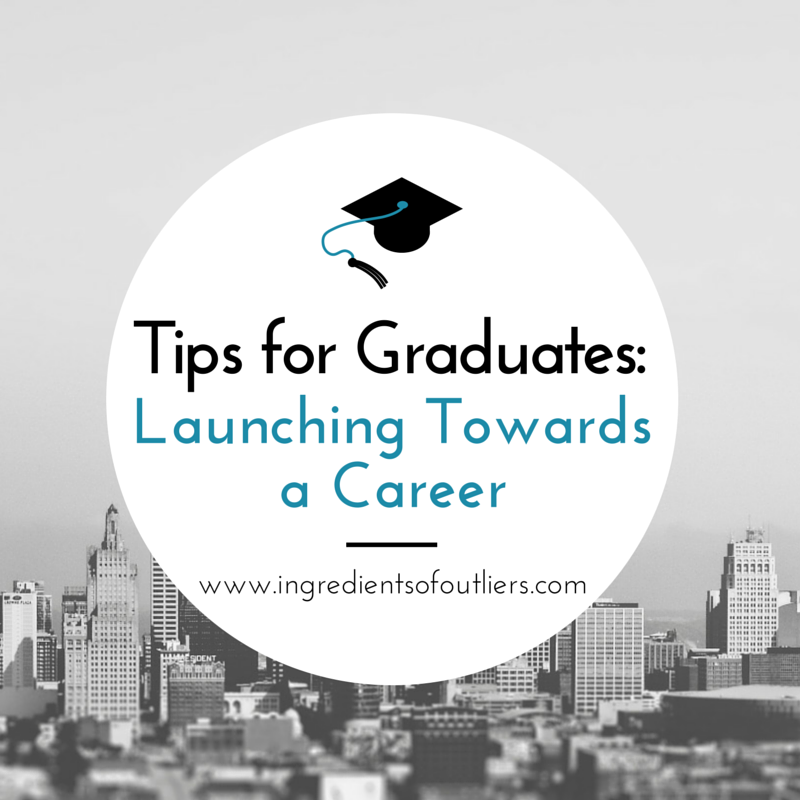 To learn from experts in various careers about insider tips and channels for pursuing your dream job, read the Outlier Series. Arlight graduate, go get ’em!